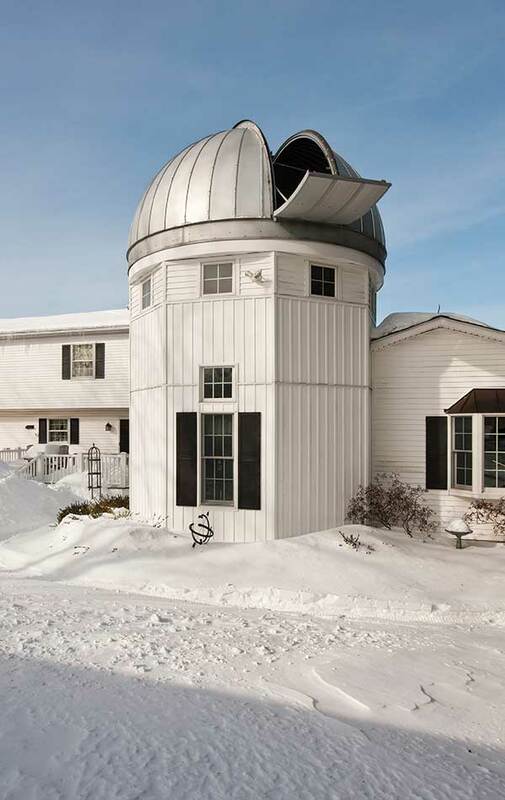 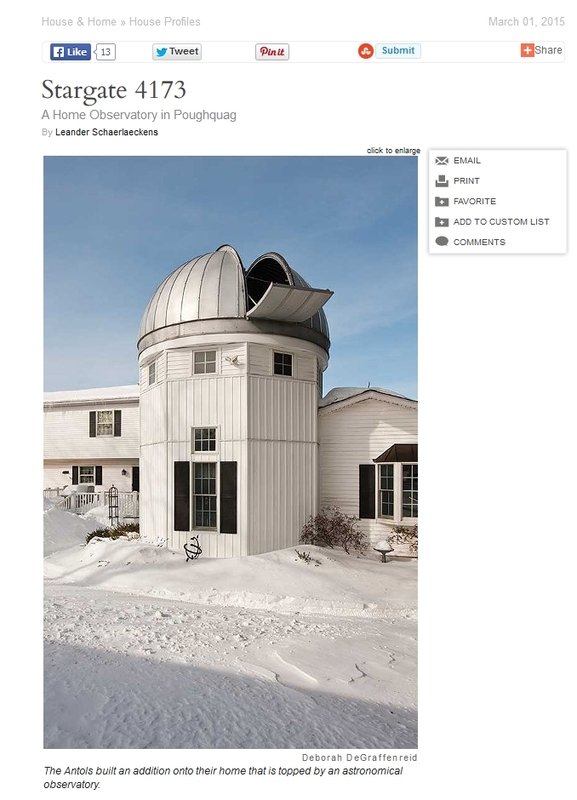 The Antols built an addition onto their home that is topped by an astronomical observatory. 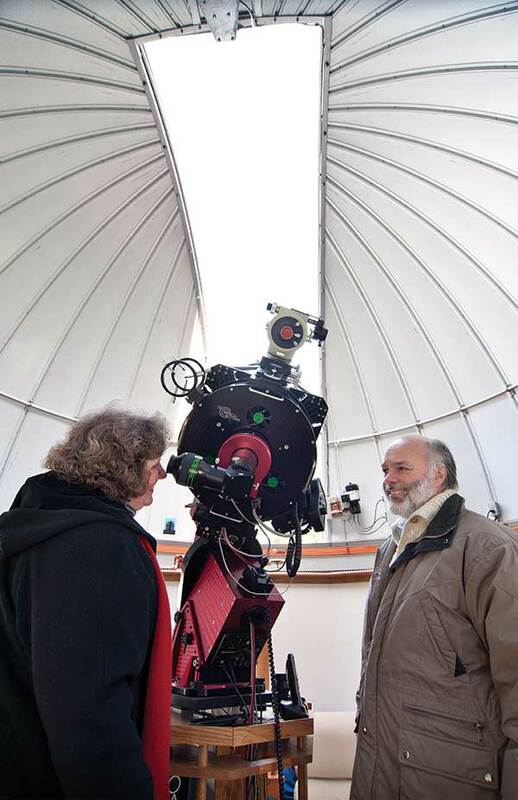 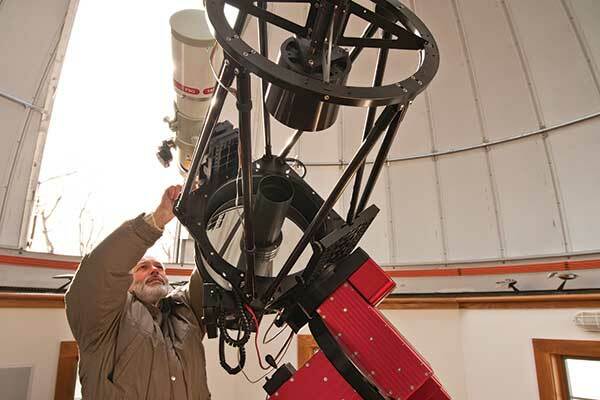 Bob Antol adjusting his Ritchey-Chrétien telescope. 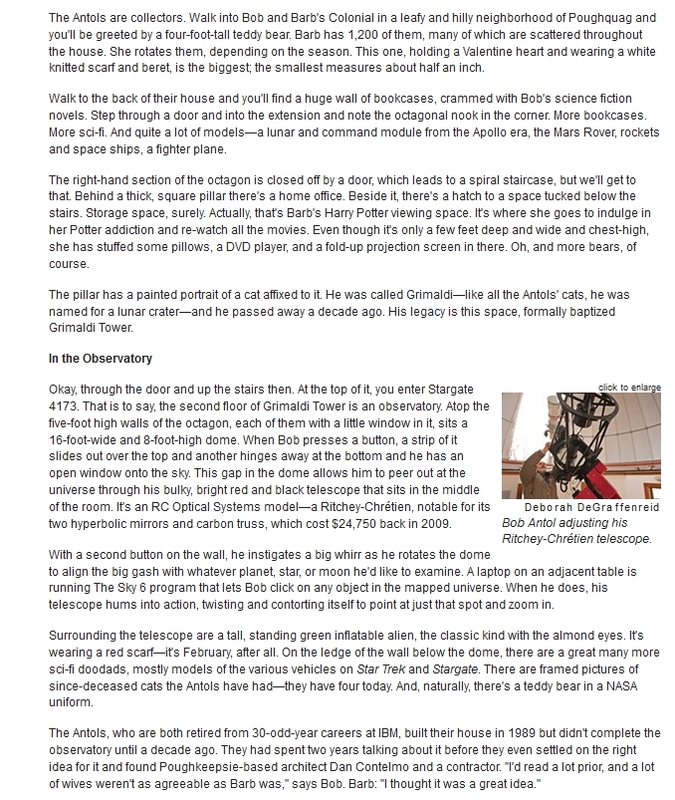 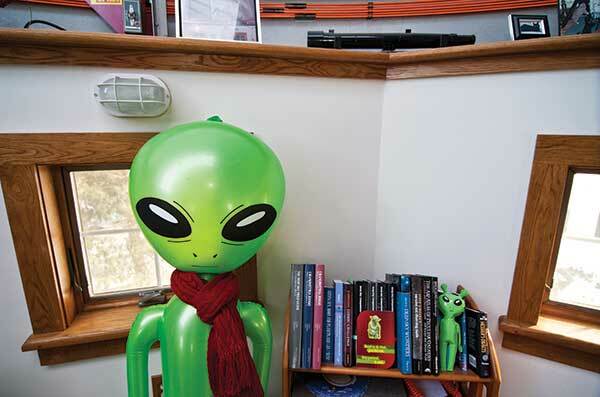 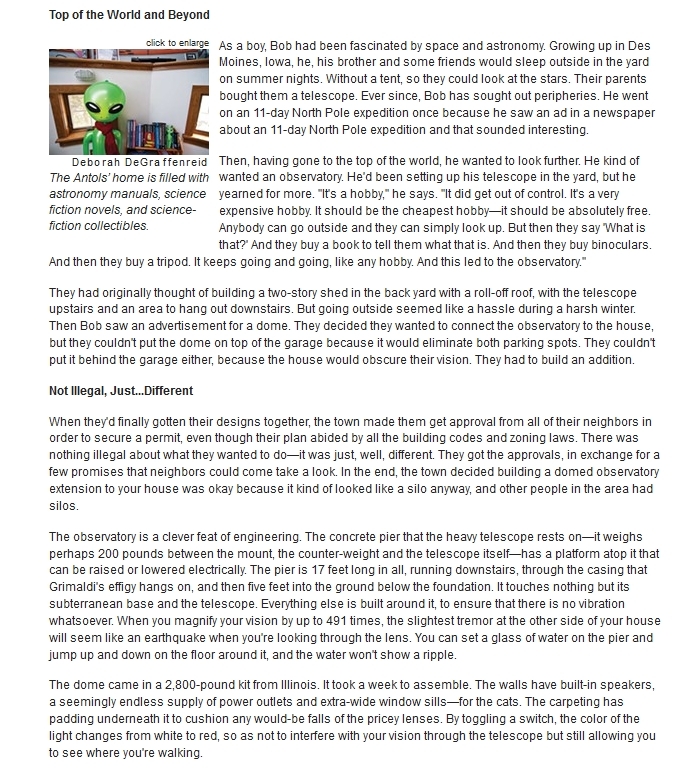 The Antols' home is filled with astronomy manuals, science fiction novels, and science-fiction collectibles. 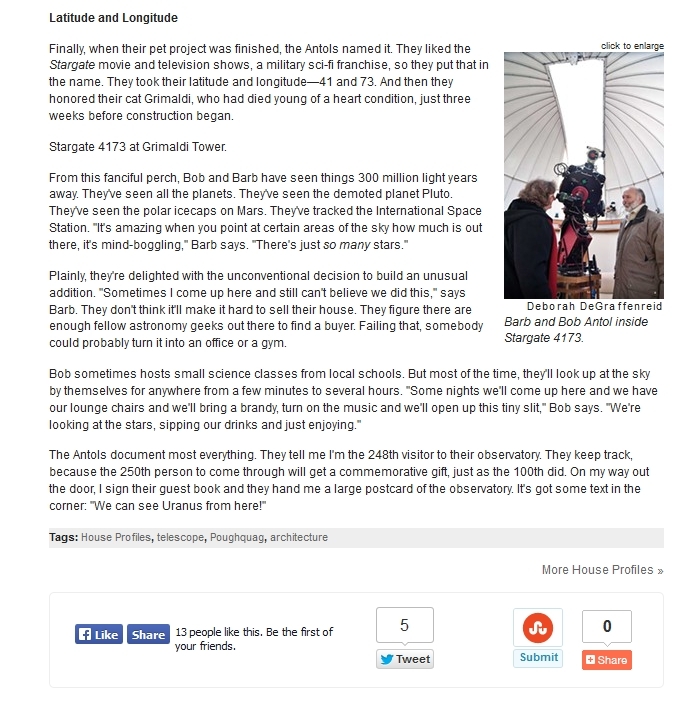 Barb and Bob Antol inside Stargate 4173.